Bidding farewell to your colleagues or an organization where you have worked for a considerable period of your life can be an incredibly difficult task. Nobody wants to bid farewell but let’s face reality, we all have to go through this phase some day or the other. A farewell letter to your co-workers is an appropriate way of communicating your feelings to your colleagues and sharing your experience of working in a particular organization. Given below is a list of farewell Letter Templates that will help you in crafting fantastic farewell letters. 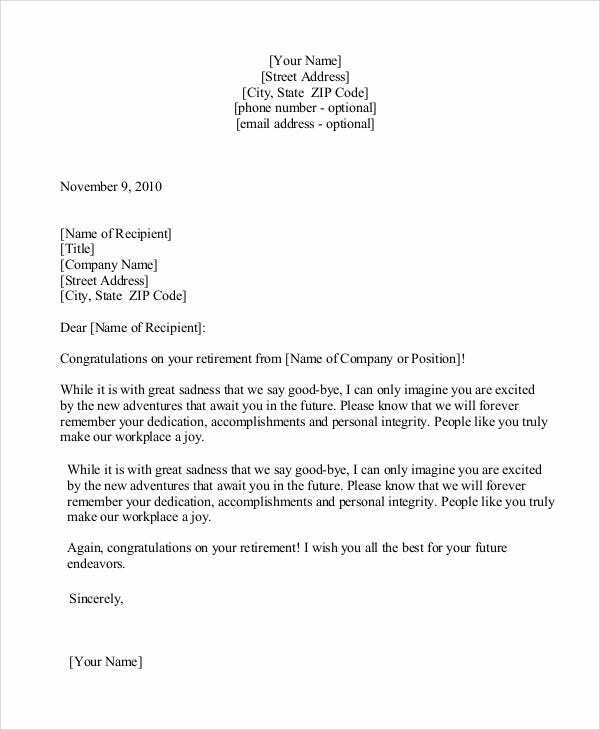 The Retirement Farewell Letter is ideally written by the co-workers in an organization to an employee who is about to retire from services after giving more than two decades of his/her lifetime. 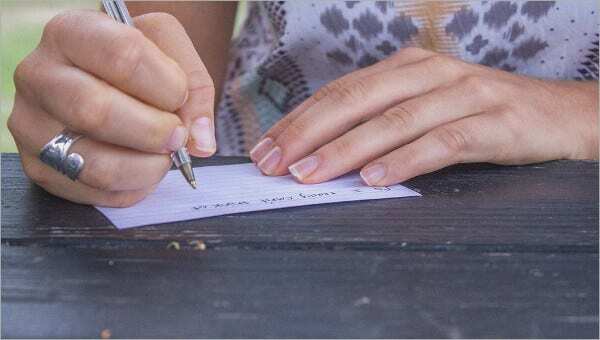 Use this template as a guideline to craft heart touching farewell letters. 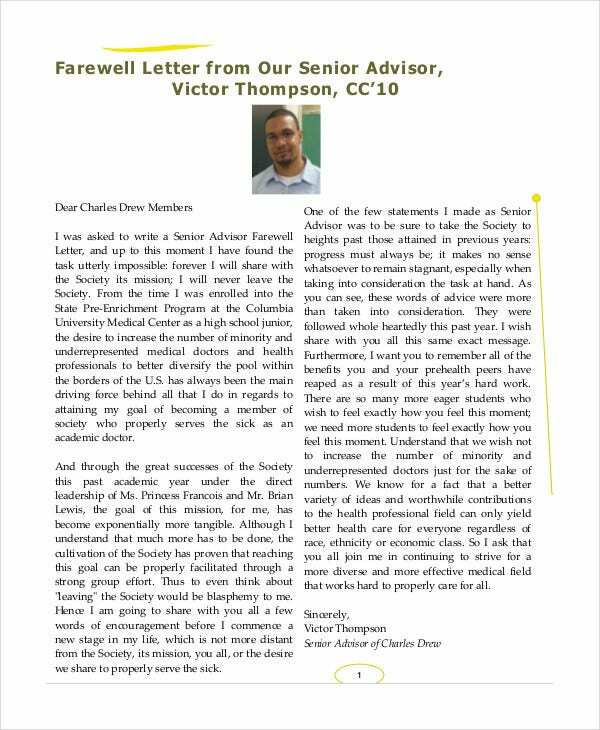 You may also check the Goodbye Letter templates. 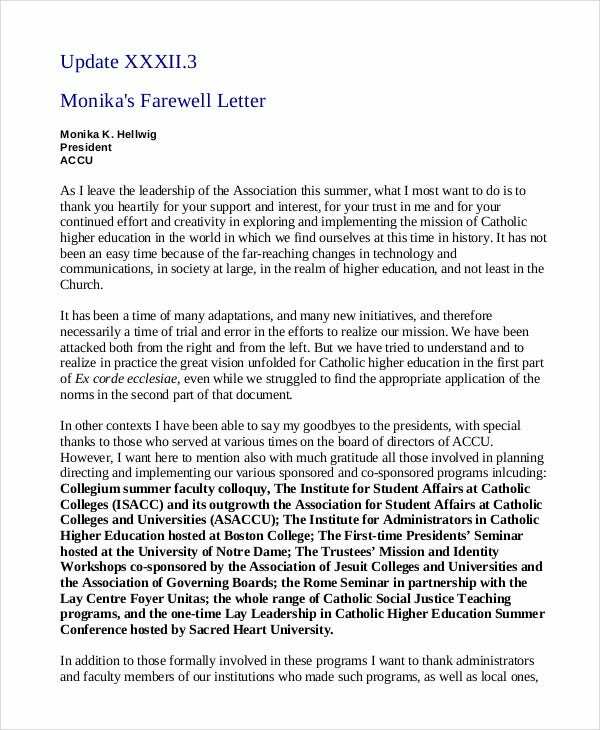 > Why Should One Write A Farewell Letter? Whether you are going to join a new organization or you have decided it’s time to opt for retirement -whatever be the reason, you should always write a farewell letter to your colleagues in which you should describe your feelings of working with them. A Farewell letter may also be written by an organization or its employees to a fellow employee who is leaving the organization. You can also see Acknowledgement Letter Templates. It will make the bond with them a lifetime one. 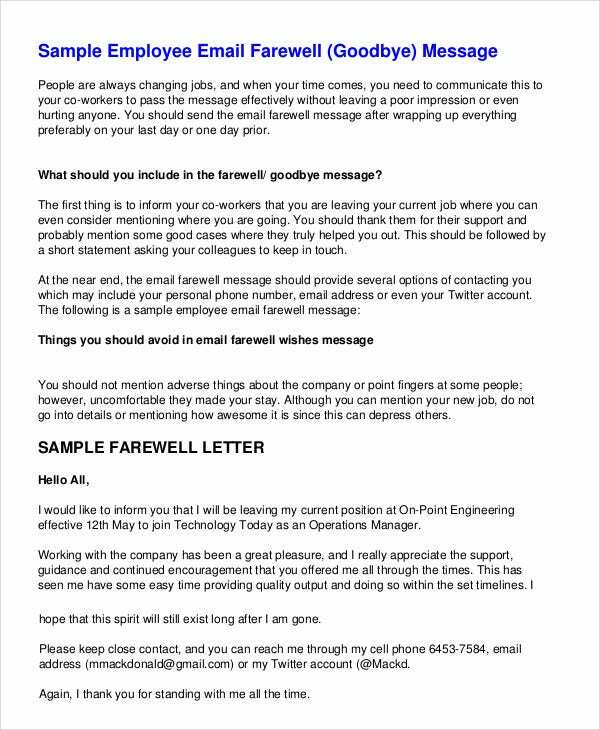 Use this farewell letter not only to bid goodbye but also in telling them what a privilege it was working with them and you should also thank them for all the love, care and support throughout You should write letters to inform about your departure to your business contacts as well as to the clients. 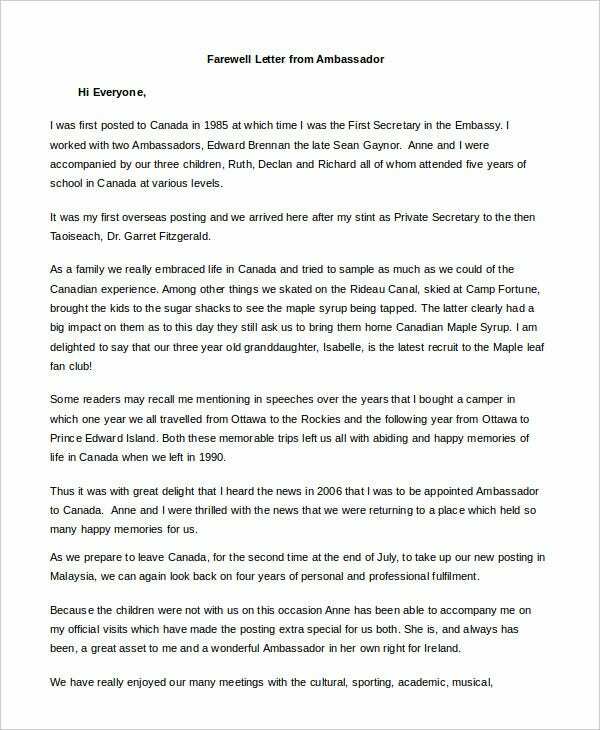 This Farewell Letter From Ambassador can be utilized when an Ambassador decides to bid farewell. He/she can use this customizable template to wish all his/her colleagues best of luck for their future endeavors. You can check the Farewell Party Invitation Templates. Saying goodbye to friends is one of the toughest things to do in the world. But if you ever come across such a situation, you can use this template to convey your feelings and emotions to your friends in the best way possible. > How These Templates Can Help You? 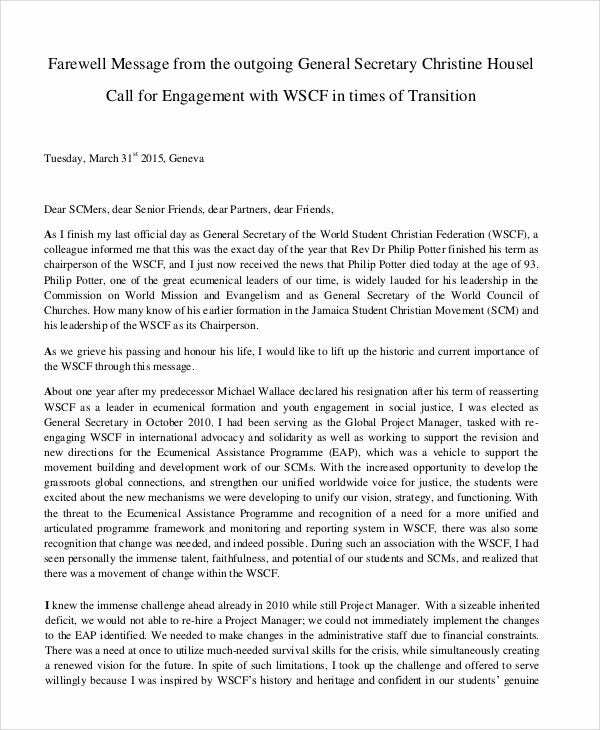 We all know that drafting farewell letters is not an easy task. When you are high on emotion with the thoughts of leaving an organization which has given you so much, putting your thoughts to words will never be easy. This is when the Sample Farewell Letter templates can help you immensely. You can also see Formal Thank You Letters. All you need to do is download these templates in either Word or Excel, make the necessary customization and print them out before sending them. 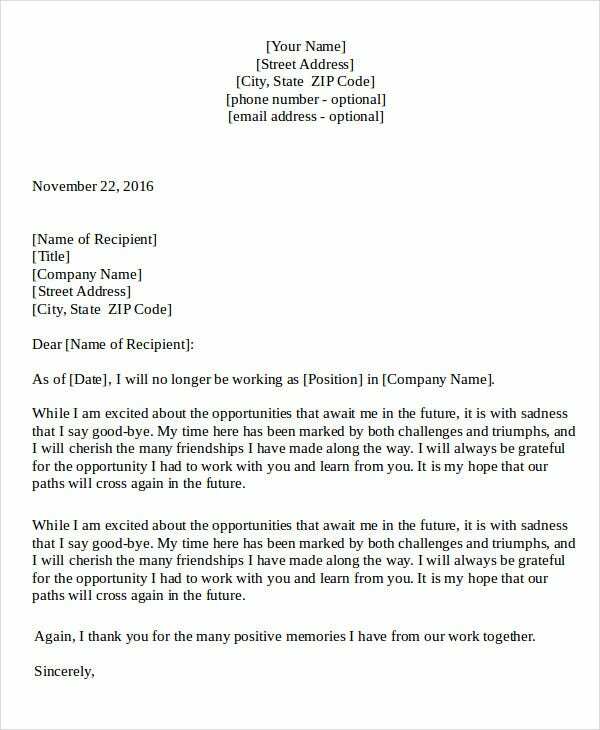 You can directly use these templates or use them as a reference for drafting a farewell letter on your own. The tradition of writing farewell letters has been going on for quite a long time. We have a vast collection of farewell letters. You can choose the one that suits your requirement the best.